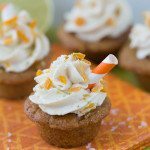 Grab your maracas and sombreros, y’all, because these mini caramelized mango margarita cupcakes will make you want to par-tay! Back in the day when I was bartending mango margaritas were my jam. I’ve never necessarily been a fan of frozen margaritas, they always give me a headache because I try to drink them too fast, but a nice cold mango margarita on the rocks w/ salt used to be the perfect ending to a long day of tending bar in the hot summer sun. I especially loved making them around my birthday or during times of celebration in the summer season because they just seem so festive, and today we have a reason to celebrate! 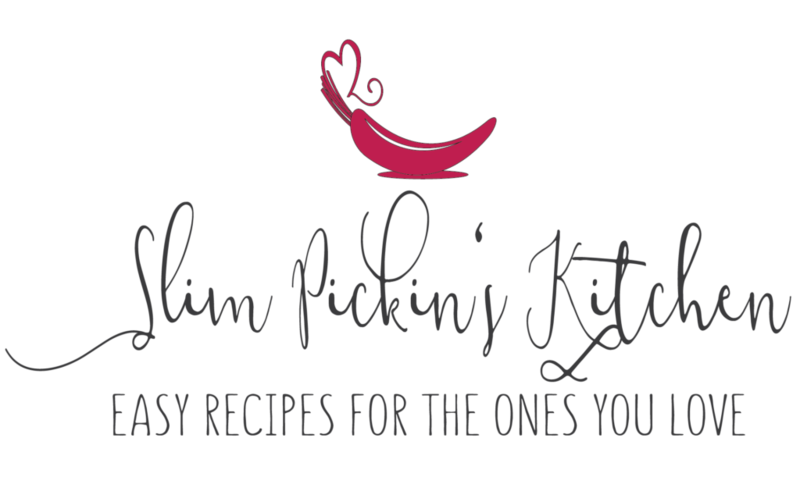 Congrats to my bloggy bestie, Erica, at The Crumby Cupcake! 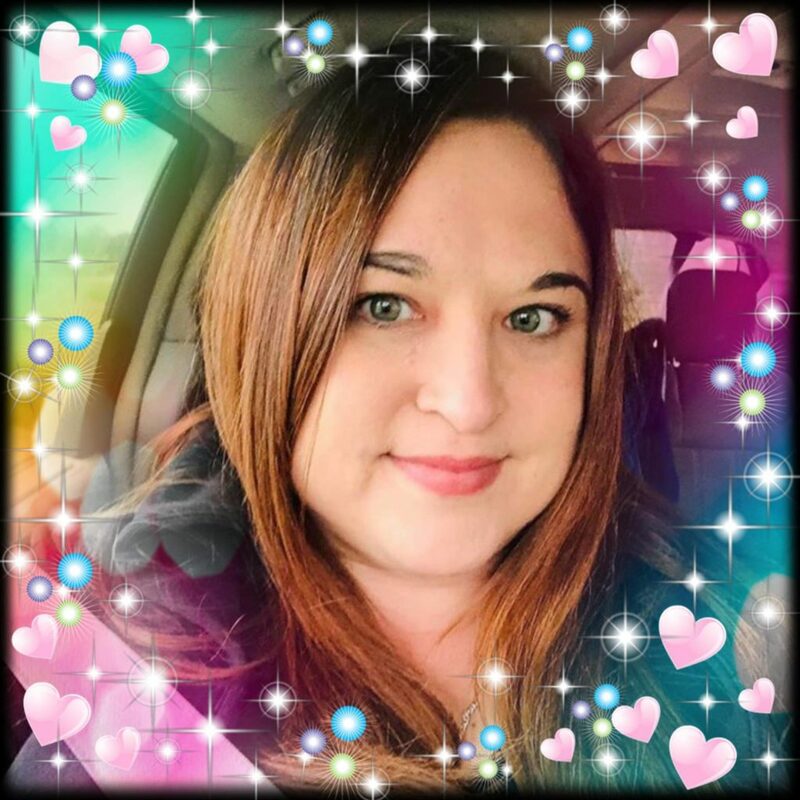 Today is her 1 year blogiversary!!!! I’m honestly shocked she’s only been blogging a year. Her photos, recipes, and writing are on par with the big dogs, and I truly believe her talent is astounding. When I met her in person at Food Blog Forum, I fell in love with her, and I can’t tell y’all enough how fantastic it feels to have someone with whom I can chat, text, and ramble to about food and blogging and photography and have that person actually *GET* what I’m talking about. I wanted to make her a special treat for this oh-so-joyous occasion, and the first two things that came to mind were margaritas and cupcakes because margaritas and cupcakes. Derp. 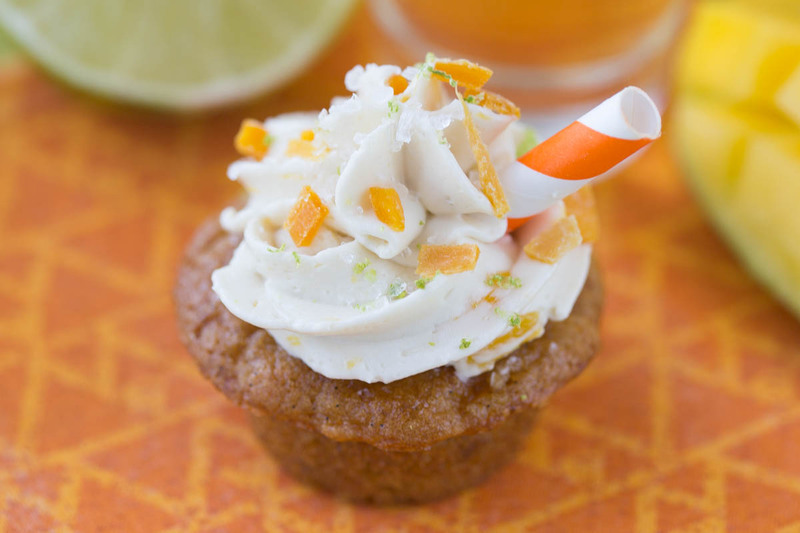 To keep with my quasi healthy eating lifestyle I made these margarita mini cupcakes as clean as I could so they are refined sugar-free, gluten-free, low carb, and paleo (aside from the booze, of course) and MINI because they are incredibly rich. The addition of tequila is totally optional, and I’m sure extra lime juice in its place would work out just fine. At first glance the recipe may look intimidating, but I promise it’s super easy and it comes together quickly. 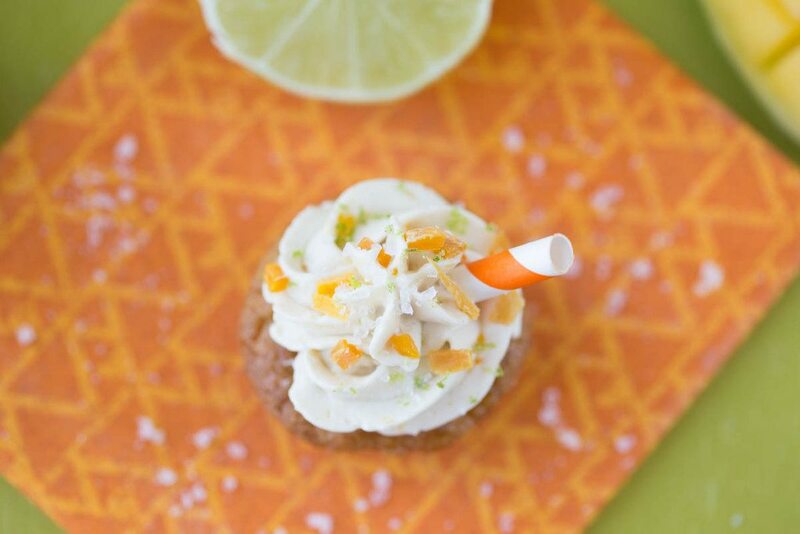 The cake is a blender batter, the caramelized mango is done is 7 minutes, the tequila syrup is heated in the microzapper, and the buttercream whips up in 2 minutes flat. And holy, holy, hoooooly buttercream, y’all. This is my go to icing from now on. Did you know it was possible to make buttercream without powdered sugar? I didn’t, but it is! It’s not overly sweet, and all I want to do is bathe in it for all eternity. When I was icing the cupcakes and photographing the tasty little nuggets, I felt like a fatty in sweatpants because I couldn’t stop licking my dang fingers. I almost took that little straw and started snorting the stuff straight to the brain, but then I realized my little monster was watching me and I pulled myself together. A note about the coconut cream: You only want to use the thick white coconut cream from the can, not any liquid. For best results, don’t shake the can at all, and pop it in the freezer for 10 minutes before starting the buttercream. That way, when you open the can, the coconut cream should be sitting right on top! Preheat oven to 325 degrees and spritz 2 mini cupcake tins (total of 24) w/ coconut oil cooking spray or line with mini cupcake liners. Split the vanilla bean in half, scrape out the seeds then add vanilla bean seeds and remaining ingredients, except caramelized mango, to a blender or food processor and blend for 30-45 seconds. Scrap down the sides then blend again until well mixed. Transfer to a bowl then stir in 1/4 cup of the caramelized mango, stirring until evenly incorporated. Using a mini cookie scoop or a tablespoon, fill cupcake tins 3/4 of the way full then bake for 14 minutes or until slightly golden brown and a toothpick comes out clean. Cool for 10 minutes then remove to a cooling rack. Brush the tops of the cupcakes with the tequila syrup, if desired. 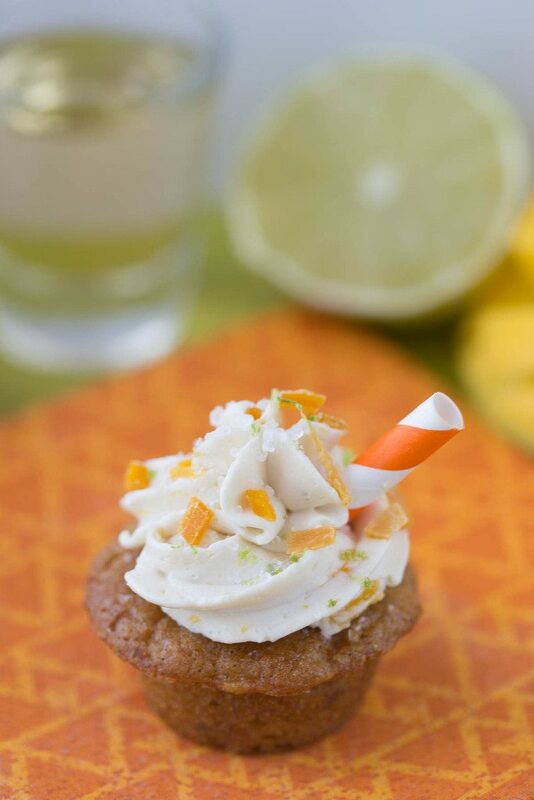 Once cooled completely, ice with the buttercream then garnish with lime zest & chopped mango. Heat butter in a sauce pan over medium-high heat. Once bubbling and slightly brown, add mango and saute for 1-2 minutes. Stir in mango nectar and continue to saute until the liquid reduces, about 3 minutes. Once liquid reduces, remove pan from heat, add tequila, return to heat and continue to cook until the tequila reduces and the mango slightly browns, about 3-4 minutes. Add mango nectar and coconut sugar to a small microwave safe bowl. Microwave on high for 30-45 seconds or until the coconut sugar melts. 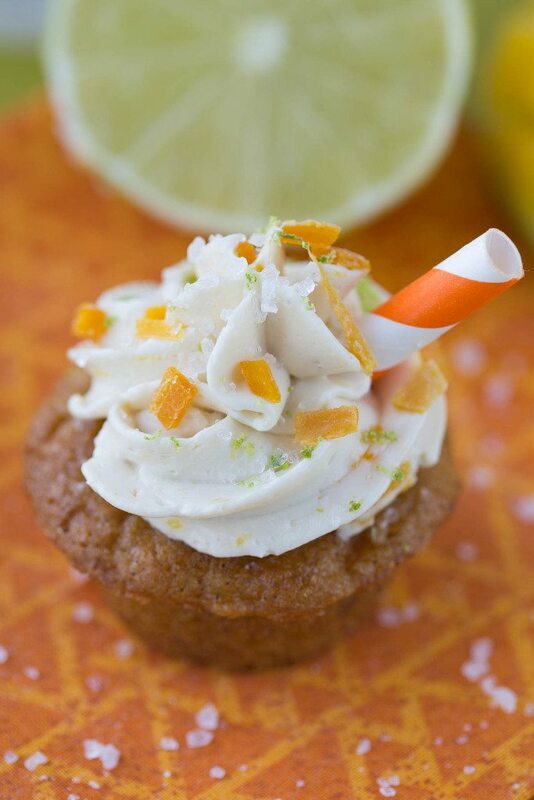 Stir in the tequila then set aside until ready to brush the cupcakes. Add butter to the bowl of a stand mixer and whip until smooth. Beat in coconut cream, maple syrup, vanilla, tequila, and salt until light and fluffy, about 2 minutes. 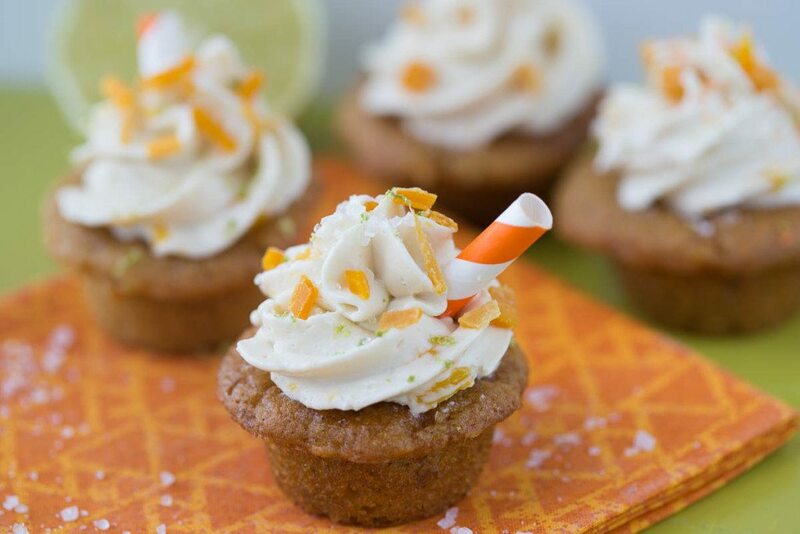 Stir in caramelized mango then frost on mini cupcakes.